MLB 2016 Preview: Chicago Cubs favorites, but could Kansas City Royals retain crown? It took Kansas City Royals 30 years to win their second Major League Baseball (MLB) World Series, but history says they have a big job on their hands to claim back-to-back championships. Just three teams – the 1993 Toronto Blue Jays, and the 1999 and 2000 New York Yankees – have retained their title since 1980. Out of the remaining teams, 20 didn't make the play-offs and only four made it back to the World Series – where they all lost. Royals outfielder Jarrod Dyson says he is unfazed by previous statistics: "You don't play the game to win one," he said. "(Michael) Jordan didn't shut it down after winning one. Kobe (Bryant) didn't shut it down after winning one. Why we gonna shut it down after winning one? We want to win as many possible." 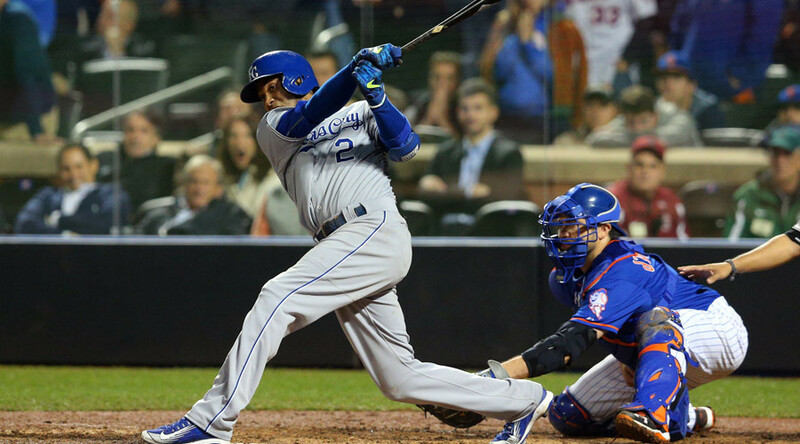 After losing the 2014 final, the Royals bounced back in impressive fashion last season, securing the title with an emphatic 4-1 series win against the New York Mets. Danny Duffy admitted he was left with mixed emotions after the victory. "You almost felt worse because we knew that we could have two right now, and we'd be in a whole different kind of boat," he said. "That doesn't take anything away from 2015, obviously. We still won a world championship. But it would pretty cool to say we won two. We were 90 feet away." While history, and a host of experts, suggest the Royals won't retain their crown, General Manager Dayton Moore is bullish about their prospects. "You can't consume yourself with what other people think, or what they predict," Moore said. "Because it's meaningless. It doesn't tell the story. The script will be written. I don't know how it's going to be written. But it'll be written, and it will be written based on how the players perform." The Mets are one of the main challengers to the Royals' hopes of repeating last season’s feat, with new shortstop Asdrubal Cabrera and second baseman Neil Walker adding depth to an already strong line-up. Their manager, Terry Collins, is confident the duo will make a big impact on his team. "Cabrera's a very good player," he said. "He brings that veteran presence again. I'll just reiterate what we saw last year when Kelly (Johnson) and Juan (Uribe) came in. It makes it easier on those younger players. "I watched him play ground balls, he's got great hands. We think offensively he's going to add a lot to our line-up. He was a great pick-up I thought. We'll get him and Neil working together – it's going to be fun to watch as they advance through spring training." The Chicago Cubs have been installed as favorites to win their first series since 1908 and their squad looks impressive, with pitcher Jake Arrieta looking to build on his 2015 Cy Young Award. Jon Lester and John Lackey give the Cubs a solid rotation, while Anthony Rizzo's performances at first base mark him down as a potential MVP winner. The Cubs' president delivered the Boston Red Sox' first World Series championship in 86 years back in 2004 and it would be foolish to ignore the possibility of him repeating the feat in Chicago. The San Francisco Giants are chasing their fourth title in seven years and the additions of Johnny Cueto, Jeff Samardzija and Denard Span mean they should be in contention. With second baseman Joe Panik now free from injury, Giants catcher Buster Posey believes they have a squad capable of challenging. "Personally, I've had to miss time so I know how hard that is and how exciting and a little bit nerve-wracking it can be getting back on the field, anxiousness," said Posey. "I'm excited for him [Panik]. This is a great opportunity for all of us with the amount of talent that we have." The Red Sox, the Blue Jays and the Washington Nationals are other fancied teams for what promises to be an exciting season. A rematch between the Royals and the Mets is the highlight of MLB's opening day, which is scheduled for Sunday, April 3.